Full steam ahead to a new record. Honestly, if you asked me how this was happening, I’d not be able to give you a totally honest answer. This year has just been amazing and successful beyond my wildest dreams. It’s been hard work – I work LONG hours, but I love it. I’m getting paid (well) to do something I love. Maybe the success comes from the passion and the enthusiasm for my subject, as well as the hard work. I like to think so. Of course there are ups and downs along the way. Not everything runs as smoothly as I would like in every department, and I do keep my fingers crossed that my good fortune continues in terms of my traffic. I’ve heard other bloggers complain about how traffic from Pinterest has taken a big tumble for them following the change at Pinterest from a regular front page, to a ‘Facebook-like news feed’ where Pinterest decide what THEY think you want to see and show you only what they think are ‘good’ pins that have been shared and liked a lot. My Pinterest traffic has been strong so at the moment Pinterest likes my content and the pins from So Sew Easy. Long let that continue. I’m continuing to schedule and share pins using Pinwoot – this is a great tool and I really recommend it for making Pinterest easy and scheduling out the same pin to several, or even lots, of boards and group boards all in one go. Read more about Pinwoot – now called ViralWoot – here. Someone asked to see how the traffic was shared between the two sites. As you can see, the sewing site is the bulk of my traffic and also the vast bulk of my income, with this site lagging far behind. That’s not surprising as its not been my focus since the sewing site became really popular. In terms of how the income is shared between the two sites – I can’t say exactly without a lot of work sharing out affiliate incomes between posts etc, but the income basically follows the page views, with MMM making very little income. Just enough in advertising revenue to pay the expenses. What was good and not so good in October? Sewing pattern sales – a bit of a slump as this month’s pattern wasn’t as popular as previous months, but sales are still strong. My pattern testing team are doing a grand job and my skills are improving. There’s a new pattern coming out in November that I just know will be a winner so I’m expecting this to bounce back. Direct Advertising – still continues to be very strong. I’m pushing some deals in November and will be inviting advertisers to pay for placement in my Black Friday newsletter. My list is pretty strong, despite offering no incentive to sign up, and the newsletter costs are rising. I’ll be looking for more ways to make the weekly newsletter pay for itself with some new advertising options. Advertising revenues – just as I thought it was all going well and I had my strategy all sorted out Blogher throws a spanner in the works. 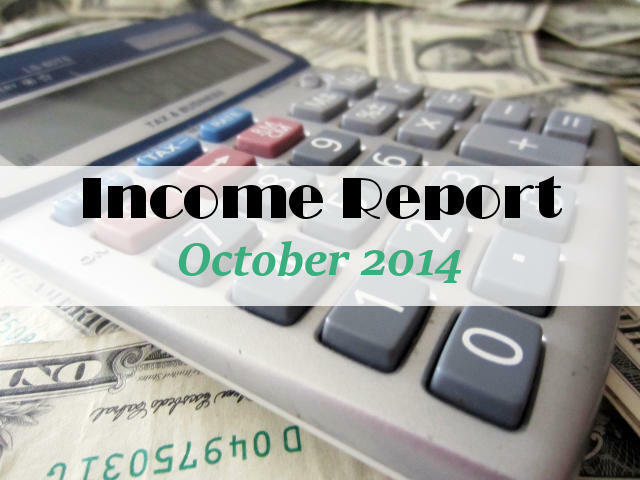 Income in September from Blogher sidebar adverts was $829.11 which equals a cpm of $1.03. But then in October – income fell (off a cliff) to just $501.03 and taking into account the extra traffic, the cpm was just $0.57. A fall of almost half. That was bad enough, but in November figures are unbelievably bad – cpm in November to date of just 23 cents. Down 78% from September. They do add on a small extra amount at month end for late figures, but not enough for me to stay. I had to say good bye to Blogher a few days ago and am waiting to place some new adverts in their place. Very disappointing in Q4 when the ad revenues should be at its highest rate for the year. I lost out on a lot of potential income with my other advertisers paying a much better rate. I’m not the only one suffering. You can read more in-depth analysis and discussion on Blogher and on the future of CPM based advertising on the income report for a Pinch of Yum. Site RPM in October was $28.75. So every 1000 page views earned me $28.75 in revenue. That’s the lowest its been since February and shows I’m not effectively monetizing all this extra traffic just yet. It’s in the main part due to the change in cookie at my major affiliate to 24hrs. Hoping November and December will show improvements in this area as people delve deeper into their pockets for the holidays. I get a lot of emails asking about which merchants to use on ShareASale. Generally there are some which are good for me, some which are good for you and some which will good for someone else. It depends on your site, your niche and your readers. I’ve recently updated this older article with a few recent offers, so take a look here and apply to some of these to get you started. I also did an article about BuyCostumes, Gazelle and Montage, which I’ve just added to my selection. November – I’ll be issuing a Holiday Gift Guide, preparing posts and a newsletter for Black Friday and looking at all of the advertising options on my site following the demise of Blogher. Giving it a big push to make the last 2 months of the year even more awesome. Then I think I’ll have deserved a well earned rest in January and a bit of a blogging holiday. It’s crazy this time of year – how are you all keeping up with everything that needs doing? How many sites do you have? Your Share a sale income is so high. I have never been able to make more than $50 a month with them (I’m in a pet niche) but I do pretty well with adsnese. P’m wondering what are you doing to get such high sales with them. I have 3 sites. 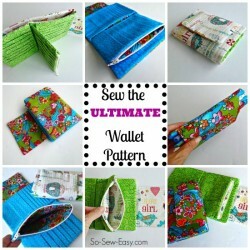 This one at Moms Make Money, a daily free sewing pattern site at Sewing4Free and my main site at So Sew Easy. I do manage to promote a wide range of sellers and products though, so that helps. See my holiday gift guide as an example. Everything from spectacles to mugs and t-shirts. And every time I have the opportunity to use an Affiliate Link I do so, in email, social media, etc. And I’m not afraid to be honest about how things work and that buying stuff from my site gives me a commission and pays me my wages, because blogging is my full time job. But even so, I’m still very lucky to earn so well. Thanks for the reply. i have been planning my own gift guide for dog owners so looking at yours helps me with some ideas of how I want to do mine. I’m going to look at your sites for tips on what you are doing too. In just glancing at them, they look very well done. Congratulation for all the figure that you are sharing on this blog so that we can have all the the motivation that is need to reach that stage. There are only a few that are able to share these figure all that easily.